So what were you doing in June 1945? Well, I was 20 years shy of being born, but I’m sure all the posh folk up in Morningside and the Braids were marshalling their kids and dragging them off to the Braidburn Valley Shakespearean Festival. This was held at an outdoor theatre in Braidburn Valley Park, which was very brave of them, even in June, because this is Scotchland. The site is still there, albeit in rundown form, neglected as so many things are in Edinbirgh, now that the council has decided that we’re the Disneyland of the North, rather than the Athens of yore. Talk a stroll past should you find yourself up there, and picture a long lost time when the words of Shakespeare rang out across a public park, rather than the shrieks of teenage hoors and smackheids. Thanks to the wonders of modern technology, clicking here will open an electronic version of the programme. 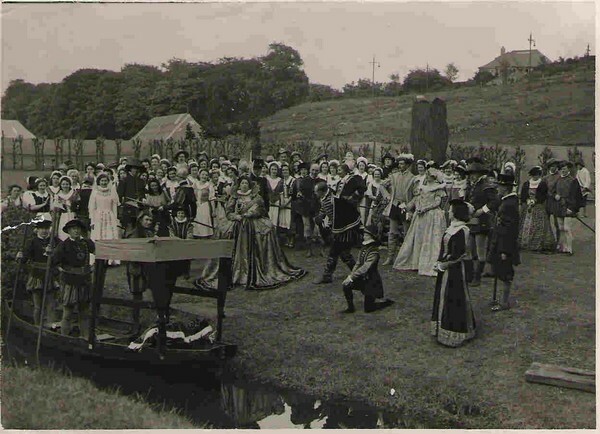 Here are the Southern Light Opera company performing there the following year in June 1946.